We caught up with Cardinal to ask her about her love of stories, the importance of community and the last great book she read. Trudy Cardinal, assistant professor of Elementary Education in the Faculty of Education. Trudy Cardinal: I was always a big fan of language arts, although I had no sense of this as a subject separate from other subjects. I was fond of the feel and texture of paper, the thrill of a new pencil—the artifacts of schooling and the tools that were needed to create stories or images on a blank page. I also loved stories, and they could mostly be found in language arts, although not exclusively. Whether they be read aloud for me to listen to, or read alone—my own discoveries—they always called forth such vivid images in my mind that I would forget where I was, or even who I was, as I fell into the world created by the words and in love with the characters who lived there. So, yes—literacy, the vast and multifaceted ways in which so many literacies live in schools, has called to me always. Faculty of Education: You are currently teaching two courses for the Faculty of Education’s Aboriginal Teacher Education Program (ATEP), at Blue Quills First Nations University and Maskwacis Cultural College. What is your favourite thing about teaching students in the ATEP program? TC: This is only the second cohort I have been privileged to teach, and both times I could feel the shift in energy for me as I walked onto those campuses—those located in “community,” especially those located in Indigenous community. It feels kind of like coming home. I am a small town girl and much of my childhood was spent in an Indigenous community or in small towns surrounded by family and friends in ways that truly felt like I had a community— where we worked and played together, laughed and cried. I never felt completely alone. In this same way, the ATEP program creates opportunities and encourages ways of being with and caring for students, to really come to know them over the two years and thus honour their knowledge and acknowledge their unique gifts, that is harder to do on the main campus with the larger classes where you might only teach students one term. I truly believe that knowledge is created in relationship and in conversation, and the Indigenous pedagogies, ways of being and knowing that inspire me as a Cree/Métis scholar are given a safe space in the ATEP program. They are nurtured. This helps me to become a better educator in community and also here on the main campus. Faculty of Education: One of your areas of expertise is narrative inquiry. What's the last great book you read? TC: Well, I hardly have time to read an actual physical book these days, but instead I listen to audio books during my drives to Blue Quills and Maskwacis. The story that I most recently was captivated by was Mitch Albom’s The Five People You Meet in Heaven. There were many things I found interesting about it, but I was most captivated by this one very small moment in the story when a child’s hands reached out to grab the main character’s—an elderly man’s—hands. Something about that image tugged at my Kohkom (Cree for grandmother) heart in ways that acknowledge the strong bond between those two generations and how much they teach each other, how much they need each other. As it often does, my Kohkom heart then has me wondering how we might nurture that same sense of intergenerational education and demonstrations of care— from a place of love—within our schools. TC: I would love for my grandmothers, generations and generations of grandmothers— Kohkoms all the way back—to have dinner with my daughter, my granddaughter and me. Some days the ways we live in schools doesn’t make sense to me, and I think there is wisdom in the teachings of the grandmothers that I have yet to learn and wisdom that I hope is more readily available to my granddaughter than it was to my daughter or to myself. Faculty of Education: If you could solve any problem in the world, what would it be? TC: I think if we could all learn to slow down, to spend more time coming to know each other and to honour the unique gifts we each bring to our living and to Life—if we could honour our diverse ways of being and knowing—then I would not have to solve any problem alone. Rather, I would feel that together as a community what was once a “problem” might be only “an experience” whereby we come out the other side a little stronger, a little wiser and a whole lot inspired to imagine something better! Faculty of Education: Can you describe yourself in a few words? 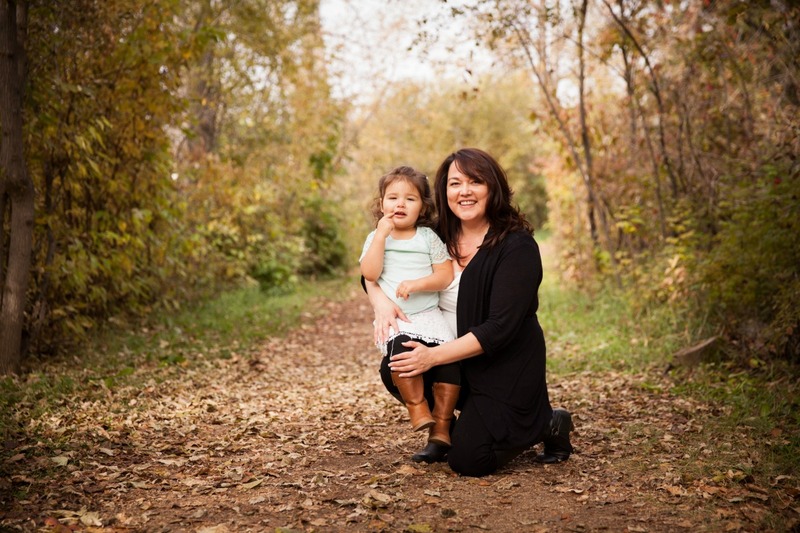 Feature image: Trudy Cardinal is a proud Kohkom to her granddaughter Kinley Taya, shown here in a photo from 2013.